“The Congress contributed significantly to the fortune of the World Scleroderma Foundation (WSF) at different levels (image, awareness, organisation, fund raising, etc.). The Congress and its positive outcome are the result of a shared effort by the scientific world and the PCO. The WSF will be able to continue its mission thanks to these results and our hope is that our studies and research will bring about a cure for scleroderma”. The World Scleroderma Foundation decided to create a congress exclusively dedicated to this rare disease and AIM Group has been the preferred partner since the earliest stages. So far five editions have been organised with great results. Scleroderma is a rare and serious disease and for a long time has only been on the agenda of Rheumatology Congresses. In 2010, a small group of specialised professors decided to dedicate an entire congress to the medical research and practices related exclusively to this complex disease and to the improvement of the life of those affected. The main goals, in particular, were to give visibility to the illness, raise funds and develop research, find new medical treatments and support scleroderma sufferers. It has been a challenge because rare diseases attract less attention and funds. It meant building the entire project from scratch as there is not any other similar conference dedicated to Scleroderma worldwide. That’s why these specialised doctors, together with the World Scleroderma Foundation, created a solid work group to organise the first world congress and involved the networks of the European League Against Rheumatism EULAR, the European Rheumatology Association, the European research centres EUSTAR, the Federation of European Scleroderma patients associations (FESCA) and AIM Group International as preferred partner. AIM Group took the challenge and, thanks to its active relationships with the rheumatology community and the pharmaceutical sector, put its experience, network and knowledge towards making a successful event. Designing and realising an educational congress for a rare disease needs a different approach in terms of commitment and teamwork. The dialogue between all the different stakeholders - the committee, researchers, patient communities and sponsors - is even more important in this case and all the AIM Group team was completely engaged in finding effective initiatives to provide a solid future for this event. One of the main features of the 3-days congress is that it gathers not only physicians, health professionals and researchers but also patients affected by this impactful disease. The connection between physicians and patients makes this congress really original and particularly rich in building human empathy. It is embracing a patient-oriented point of view. The presence of patients over the years has contributed to maintaining a greater attention to their needs and helping in making improvements to their daily lives. Also, the patients’ involvement means a different approach to the organisation of the congress: it means that two parallel congresses have to be realised, as physicians and patients celebrate their own plenary sessions and seminars with some shared moments. It requires a particular attention to ethics standards and a strict compliance. The congress organisation has always been entrusted to AIM Group due to the strong partnership and a 360-degree consulting service. AIM Group supported WSF for finding the best solutions not only with regard to destination’s choice, set-up, educational formats and technical equipment, but overall regarding the long-term agreements with sponsors, new fundraising activities, patients care and all the other needs. 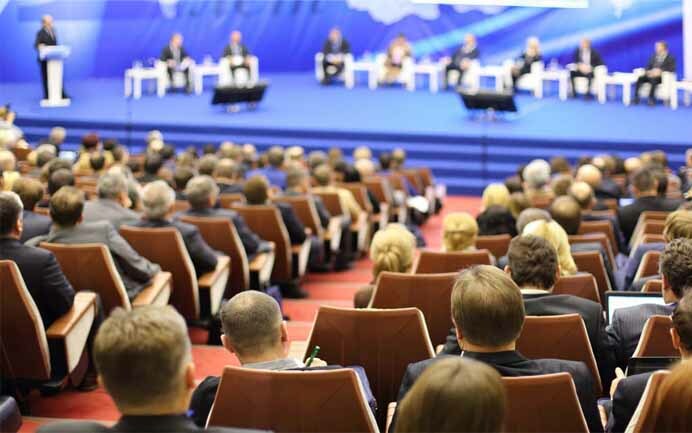 The first world congress was held in 2010 in Florence and then every two years, Madrid in 2012, Rome in 2014, Lisbon in 2016, and, recently, in Bordeaux, with 1.250 attendees from 61 countries. The main initial goal has been achieved: a new world congress has become a consolidated reality, a biennial reference appointment for the community, rotating throughout the Europe. The results have always been extremely satisfying. These congresses have contributed to increasing knowledge of scleroderma throughout the world. The number of countries represented has grown by 10% as well as the number of abstracts received. 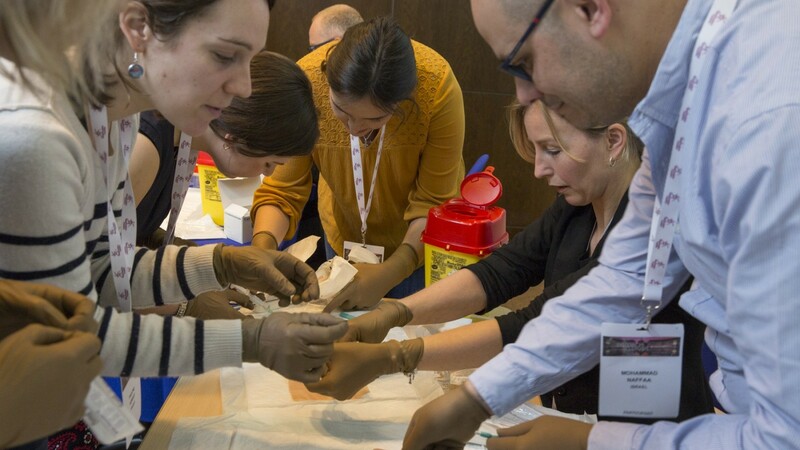 Furthermore, new educational formats have been introduced through the years, such as interactive sessions; Meet the Experts classes or pre-congress workshops with hands-on sessions, helping to make knowledge sharing more effective. Also, the last edition was supported by numerous new sponsors and a new fundraising activity was promoted, with the goal of leaving a legacy to the World Scleroderma Foundation and becoming a background for a call for grants at international level. This complex project demonstrates that even in case of a rare disease it is possible to overcome difficulties and achieve significant results thanks to a strategic vision, a strong commitment and active collaboration among all stakeholders.